We believe that there are seven ‘stories’ which are the heart and soul of Sri Lanka, aspects of its nature and history which are at the core of the island’s culture. 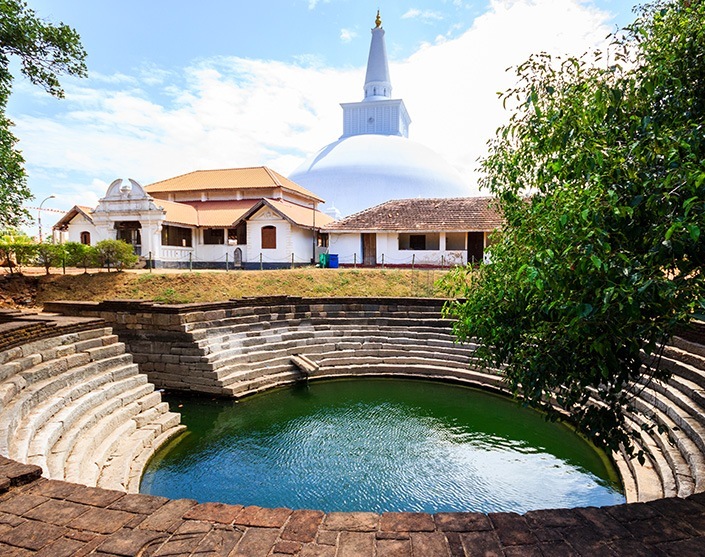 The first is Sri Lanka’s ancient civilisations and the introduction of Buddhism – explore the ruins of these majestic kingdoms and marvel at the towering stupas as you learn about the philosophy which has been practiced in the island for over 2,000 years. The second is Sri Lanka’s iconic tea industry, started in the mid-19th century during the British colonial period. Third is the island’s astonishing biodiversity, both in terms of landscape and wildlife, whilst the fourth is the country’s spectacular coastline and the many varieties of beach it boasts. Next, the story of how Sri Lankan cinnamon came to be regarded as the best in the world, and Geoffrey Bawa, the island’s most iconic architect who is described as the father of Asian architecture. Finally, Sri Lanka’s present-day culture and its dramatic development over the last few years. We believe that exploring these seven stories will connect you closely to the island: enhance your journey with a selection of our innovative experiences and discover what made Sri Lanka the enthralling country it is today. Sri Lanka, formerly known as Serendib, Taprobane and Ceylon, has a rich history spanning over 2,500 years. As many ancient artwork and early texts show, such as the 5th century Mahavamsa, Sri Lanka’s first civilization was constructed in the 1st century BC and for the next 1,500 years the island was ruled by powerful kings who left a significant impact on the island. The ruins of Anuradhapura and Polonnaruwa and the city of Kandy stand in testament to the majesty of these great kingdoms. The story of Ceylon tea actually begins with coffee. The island’s once-thriving coffee estates were affected by a fungal disease which almost wiped them out, a catastrophe which inadvertently made way for the tea plantations which cover Sri Lanka’s hills today. 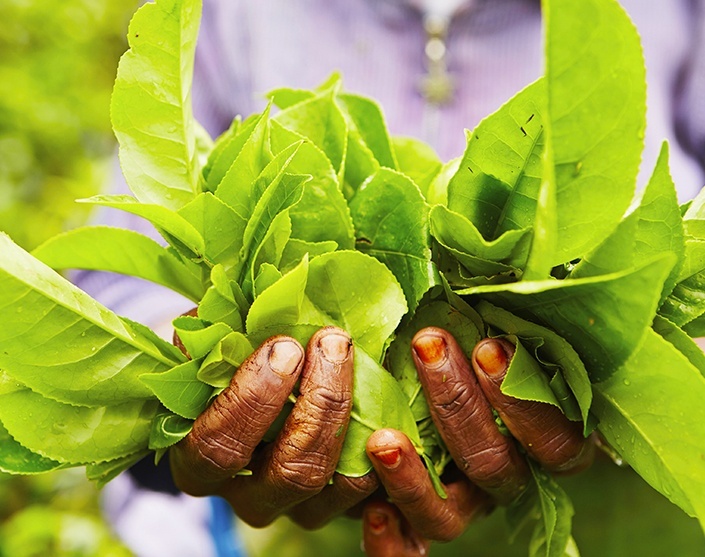 Tea was first planted in the Royal Botanical Gardens in 1824 by the British, and 45 years later James Taylor created the first plantation which kick-started the mass-production of tea. It remains one of Sri Lanka’s major exports. Sri Lanka is surely the most biodiverse island in the world. It boasts an extraordinary variety of environments akin to that of a larger country, but in a conveniently compact form, ranging from rich rainforests and mangrove-shrouded rivers to dry shrub land and golden beaches. 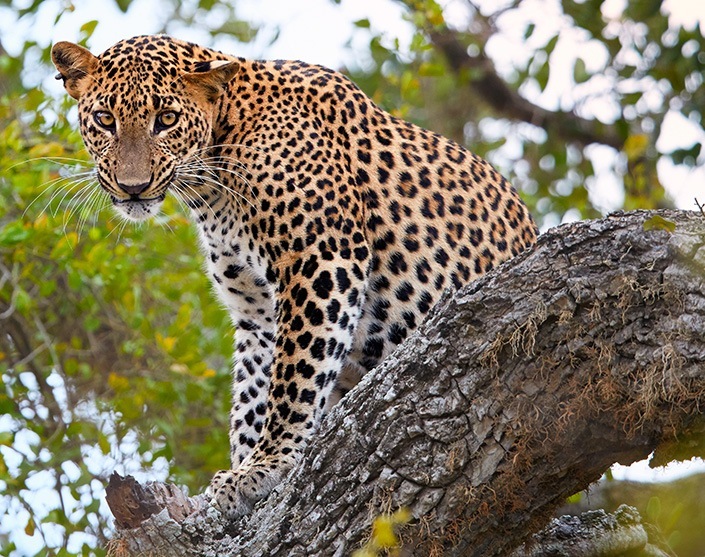 This variety makes Sri Lanka one of the best destinations in the world for a specialised wildlife holiday, as you can see an astonishing range of animals and plants without wasting too much time on travel. 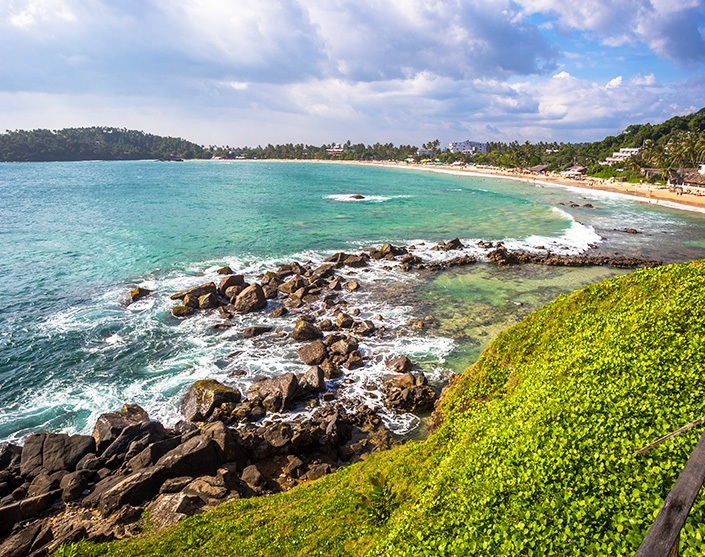 Sri Lanka is blessed with an abundance of breath-taking beaches, with much of the south and east coast rivalling the beaches of countries such as the Maldives. The crystal-clear ocean at Trincomalee, boldly blue against an expanse of bright white sand, is particularly picturesque, but each stretch of Sri Lanka’s coastline has something unique to offer travelers, from the golden sands of Weligama to the incredible waves at Arugam Bay, ranked as one of the top ten surfing spots in the world. If there is one thing that Sri Lanka is renowned for aside from tea, it is the exceptional quality of its cinnamon. Sri Lanka has always been prized and revered for its valuable spices, drawing in traders and merchants by the hundreds for several centuries. 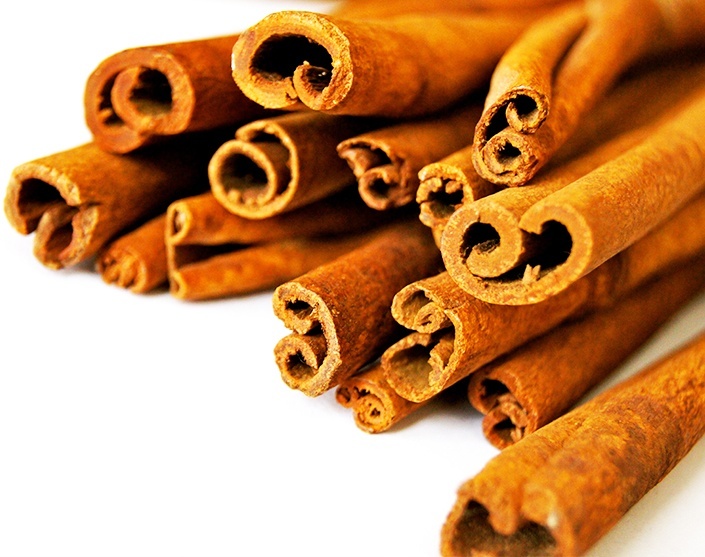 First discovered by the Portuguese in the 16th century, Sri Lankan cinnamon has been in high demand ever since due to its versatility – as a medicine, in cooking and for perfumes – and is celebrated as the best cinnamon in the world. 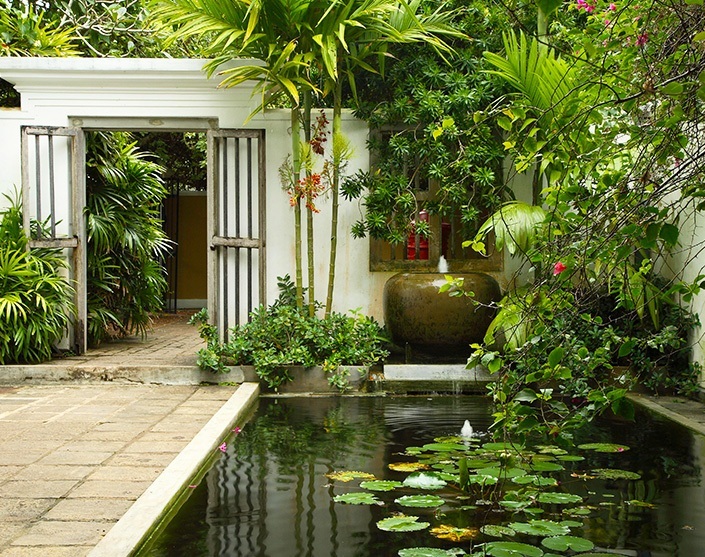 Now regarded as having been one of the most important and influential Asian architects of the twentieth century, Geoffrey Bawa is undoubtedly one of Sri Lanka’s national treasures. Responsible for linking the ancient architecture of this island with that of the modern world and creating the architectural style that would come to be coined ‘tropical modernism’, he left behind a legacy that will last for decades, and works that have inspired many young architects in the island and beyond. Since Sri Lanka gained independence in February 1948 it has faced several hardships, most significantly the devastating tsunami of 2004 and the 30-year-long civil war which finally ended in 2009. 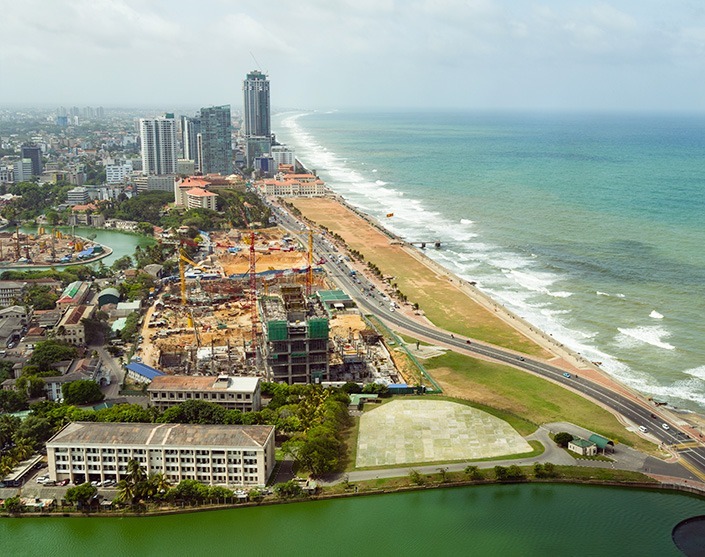 Despite this, the country is alive with an incredible buoyancy and remarkable advances are being made in repairing Sri Lanka’s social, economic and political landscape. Tourism is flourishing, with Sri Lanka now taking its rightful place as one of the top travel destinations in the world.